Just like us, dogs love an outdoor adventure as well. One of the great things about traveling in an RV is that it allows us to bring along our favorite furry companions for the ride. 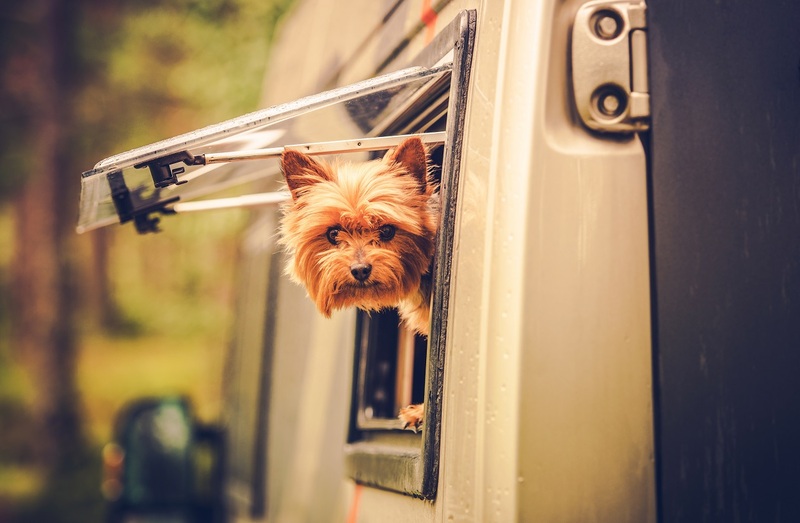 Here’s a list of 5 helpful tips and tricks for RV traveling with dogs so you and your pooch can get the most out of your camping trip. Look For A Fido Friendly RV – More and more RV brands include dog friendly features in their design. 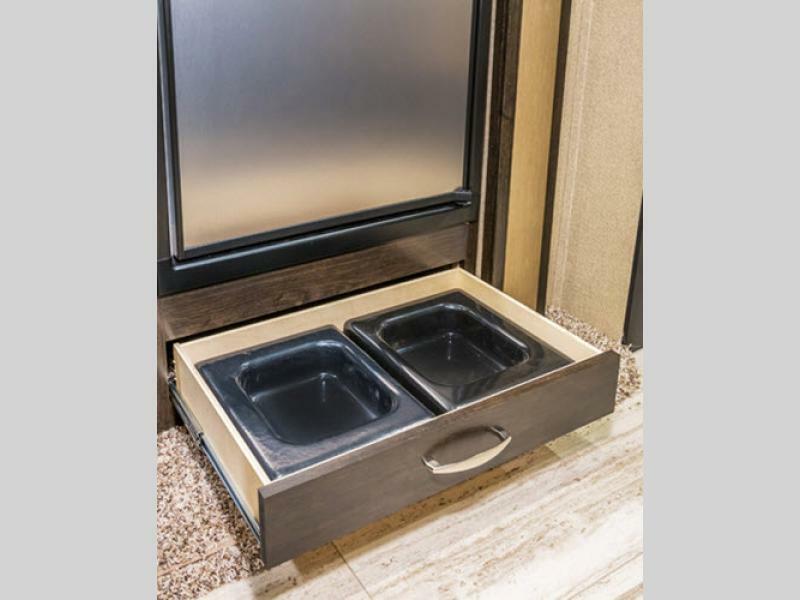 The Grand Design Imagine has a built in dog bowl that slides out for dinner time. 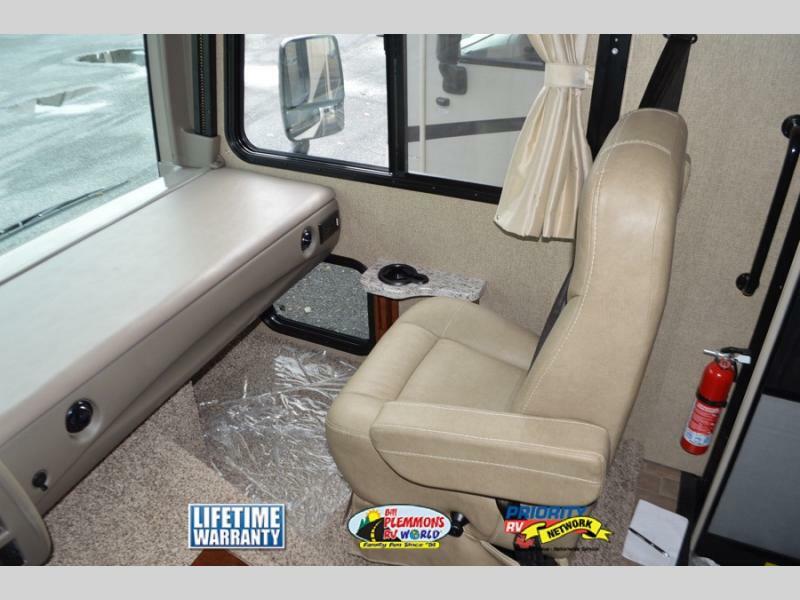 Other features to consider are windows placed low so your dog can easily look out such as on the Fleetwood Flair Motorhome, a spot to tie up a leash on the RV’s exterior, and stairs that are easy to climb. Bring Health Records – Make sure your pet is up to date on all necessary vaccines as well as heartworm, flea and tick prevention before you go. Let your veterinarian know that you plan on traveling so they can make location specific recommendations. Leptospirosis, for example, is an issue in some areas and not in others so the vaccine may or may not be needed. Make sure to keep your pet’s health documents in a safe, easy to access place in case you need them on your trip. Dog Friendly Destinations – Keep your dog in mind when you are planning your trip. Some destinations are more dog friendly that others. Look for restaurants that have outdoor seating where you can bring your pooch along. Make sure the national forest or state park you are planning to visit allows dogs. Bring Toys and Treats – If you do have to leave your pet in your camper while you are away (with the A/C on, of course) make sure they have things to keep them busy so they stay out of trouble. Bring their absolute favorite toy or buy new exciting ones. Many rubber toys have a space to put treats or peanut butter to keep them engaged. Sometimes having the radio or TV on helps reduce anxiety while you are away. Try A Short Trip First – If you are planning a long vacation with your dog, try taking a short overnight trip ahead of time. See how your pet reacts so you can be prepared and work out any wrinkles before the major voyage. For additional information on RV traveling with dogs or other RV living topics, visit the Bill Plemmons RV Resources page for links to other helpful travel tips. If you have any questions on finding a pet friendly RV, Contact Us. We have a large selection Fido approved motorhomes, fifth wheels, toy haulers and travel trailers!